I do not seem to be able to tie this one down and get a handle on it but here is the vine file work I put on the spine of my latest knife. This entry was posted on March 27, 2010 at 3:37 am and is filed under Forging, knifemaking, metalwork. You can follow any responses to this entry through the RSS 2.0 feed. You can leave a response, or trackback from your own site. 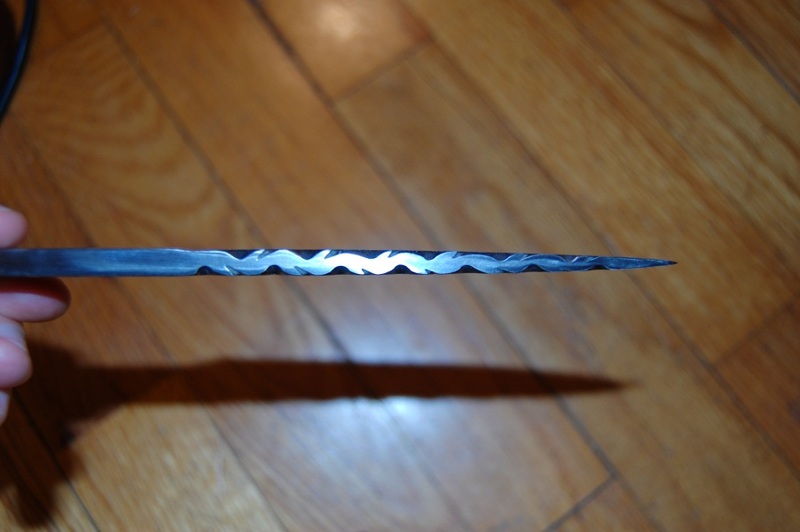 All ur knifemaking skills are intact as far as I can tell…the file work looks pretty dog-gone good, also ! Thanks Norman. I believe that I measured out 1/4″ segments if I remember correctly. I am pretty sure that I just used my round file width so the semi-circles would look right.